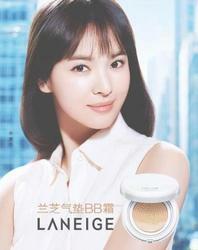 2013 promo pics of Song's for Laneige. Yesterday at the 2013 Chinese Film Festival in Seoul along woth Tony Leung and Zhang Ziyi. More terrific Song pics, from a promo event in January for her last drama: That Winter, The Wind Blows. 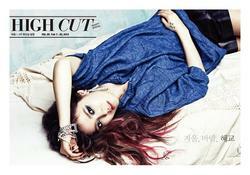 Song from the Feb. 7th issue of High Cut. Another older Song spread, from the Dec. 2011 issue of Harper's Bazaar. Song today at a promo event at the Little Black Jacket store. Dispute NO MORE!! 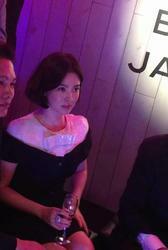 Full support SONG HYE-KYO backs "The Grandmasters" all gossip thanks to the dumb media. To promote the 5th China Film Festival opening film THE GRANDMASTERS (YUT DOI JUNG SI) in Korea, Tony Leung Chiu Wai, Zhang Ziyi and Song Hye-Kyo earlier dressed up for their red carpet appearance. Director Wong Kar Wai later praised Song Hye-Kyo as "The prettiest female star in Asia, her face is perfect" and regretted that he was "unable to increase her role". Two days ago, two hours before the China Film Festival opening ceremony, Korean paparazzi caught Song Hye-Kyo appearing in a Gangnam beauty salon in preparation for the event. Earlier when THE GRANDMASTERS was released overseas, Song Hye-Kyo was busy with the Korean series THAT WINTER, THE WIND BLOWS and was unable to promote. Thus she particularly valued this red carpet walk with Wai Jai and others. However, according to his designer and hair stylist, Song Hye-Kyo in clothing, accessories and hairstyle selections repeatedly asked for simplicity first. She said that since she was attending the China Film Festival, the stars should be the Mainland stars who made the trip to Korea. 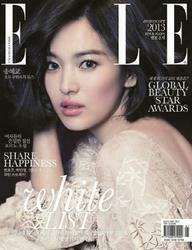 Even so, Song Hye-Kyo's refreshing image held its hold as she and Zhang Ziyi displayed different feminine beauty. Wai Jai even praised his on screen wife for her elegance. 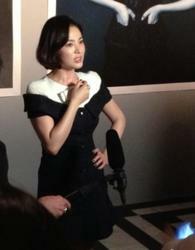 Director Wong Kar Wai praised Song Hye-Kyo as "the most beautiful female star in Asia. Her face is perfect" and regretted that he was "unable to increase her role". Korean diva Song Hye-Kyo has always been rumored to be upset at how long THE GRANDMASTERS (YUT DOI JUNG SI) production time was and how his role was reduced to only 6 minutes, thus she was at odds with director Wong Kar Wai. However, they finally overcame their differences as they attended the 2013 China Film Festival opening ceremony in Seoul. Tony Leung Chiu Wai appeared with his on screen wife Song Hye-Kyo on the left and companion "Gong er" Zhang Ziyi on the right. Wai Jai even praised Song Hye-Kyo as a very charming actress. "All encounters would ultimately lead to a reunion", which was a classic line from THE GRANDMASTERS. 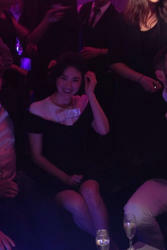 Song Hye-Kyo and Wong Kar Wai yesterday reunited in Seoul, did it feel like a reunion after a long time apart for them? "Ip Man" Leung Chiu Wai's wife Song Hye-Kyo never appeared to assist with THE GRANDMASTERS promotion from its production wrap to release. Reportedly she felt that she "waited more than shot", the production dragged on too long and her role was reduced, thus she was very upset. After her contract ended she could only leave the team. At the same time, because her role was reduced to 6 minutes, the other lead actress Zhang Ziyi stole the spotlight. Song Hye-Kyo thus was rather upset as well. When the film was released, Song Hye-Kyo claimed that she was in a production and thus was unable to promote. This time THE GRANDMASTERS was invited to be the Korea "2013 China Film Festival" opening film. She dispelled the dispute rumor and showed her support. 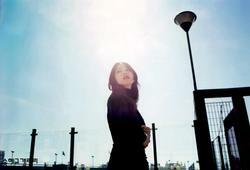 She had no grievance with Zhang Ziyi and chatted often. They later will work together on John Woo (Ng Yu Sum)'s film. This time was a warm up, otherwise when they worked together they would be rumored to be at odds again. Wai Jai had two great beauties with him. When he left the stage he even lightly gave Song Hye-Kyo a hand and attentively took care of this on screen wife. After the opening ceremony they caught up at dinner. 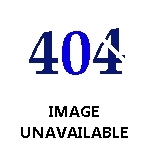 Wai Jai's assistant posted the photos online. Wong Kar Wai sat with Song Hye-Kyo. Wai Jai lightly embraced Zhang Ziyi. All the dispute rumors were swept away. Wai Jai said that although it was his first collaboration with Song Hye-Kyo, he has watched her television series long ago. 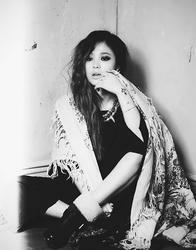 "When I watched her television series she felt that she was as cute and pretty like a young girl. When we worked together on the film, I realized that she displayed a completely different side that was also very charming and felt even more mature." Wai Jai praised Song Hye-Kyo and the film's era as rather well matched, and she was a very charming actress. lookin forward to Zhang Ziyi and Song Hye-Kyo teaming up! Song looking A+ yesterday at a promo event in Hong Kong for her drama that will be airing there: That Winter, the Wind Blows. Song yesterday at a Laneige promo event called 'Beauty Cocktail Party'. 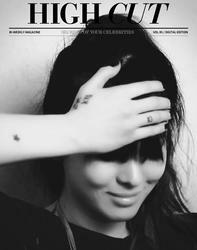 Song looking from the October issue of Bazaar. A truly stunning Song Thursday at a Bazaar charity event Thursday in Bejing. Song as usual quite beautiful and classy Saturday at the Apan Awards show. New Song promo pics for Jestina. Too long between Song posts, in Beijing Wednesday at a press conference for "The Crossing" movie. Song looking sharp at another press conference for "The Crossing" film. Song Saturday at the Cannes Film Festival where "The Crossing" was screened. A+ Song pics from an interview she did while at Cannes.